Visceral Games announced today that the demo for Dante's Inferno, will be available to download in December. 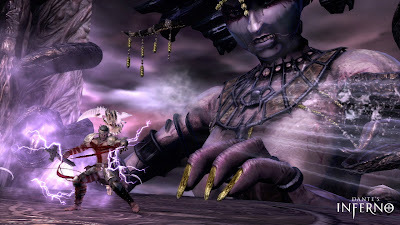 The demo is said to include the entire first level of the game, which will introduce the game's hero, the hack-n-slash combat, and two cinematic movies. I am almost giddy from this announcement as most demo's seem to be too short but this time we get one whole circle to play through, then look forward to another nine to dominate in February 2010.